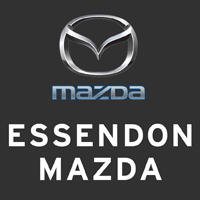 Mazda MX-5 Club of Victoria & Tasmania » What sorts of events can I do? The Club’s annual Motor Sport Championship is run on a series of “Sprints”. However, the MX-5 is ideal for many forms of motor sport outside of Club-managed events, and Club members participate in a wide range of motor sport events … including motorkhana, khanacross, autocross, hillclimb, supersprint, racing, endurance racing and targa. Sprints are held at race circuits, the aim being to set the fastest single flying lap time (you against the clock). Up to 20 cars at a time are spaced out on the track, and get three or four flying laps per session. There are usually four or five sessions in a day. Since timing is done solely against the clock there is no need to go head-to-head with other cars, so the chance of panel damage is minimal. Passing is only allowed on the straights to lower the chance of collisions. If someone is going to pass you, you can just back off, let them through and have a clear run at the next lap. The highlight event of the Club’s motor sport year is the annual interstate challenge against the drivers of the Mazda MX-5 Club of NSW, held alternately at Winton or Phillip Island in Victoria and Wakefield at Goulburn in southern New South Wales. This event is usually held in October. Even if you’re not interested in driving, the Club’s Motor Sport Team needs fellow Club members to support them, and to help as officials. See our Sprints calendar for the current Victorian Mazda MX-5 Club Sprint events. Motorkhanas are fun, low-speed events where the aim is to navigate a tight, technical course laid out with witches’ hats in the least time. Driver skill and handling are top priorities, and MX-5s excel in this domain. Some members compete in the Victorian Motorkhana Championship. Hillclimbing is one of the oldest forms of competitive motor sport and are ideal for MX-5s. One car at a time runs against the clock on a sealed or unsealed surface, usually comprising a variety of gradients and corners. Club members participate in hillclimbs at different venues, but the Club does not run its own hillclimb events. Supersprints take the sprint format one step further. A grid of cars is released in pairs, at short intervals, from a standing start. Officially the results are against the clock, but some of the feel of a race is there. Sprint rules still apply, though, so there’s no passing in corners or blocking other drivers from passing. The Club does not run its own supersprint events. Racing is the next higher step, where cars compete head-to-head on the track. For this you require a CAMS Level C3 racing licence, and further vehicle modifications (plus a vehicle log book). Contact CAMS or the Club Captain – Motor Sport for more information. Driver training days take place at various race circuits around the state, and are a great way to dip your feet. Under the supervision and guidance of an experienced instructor, you’ll get to drive on some of the best tracks in the country, learn about racing lines and improve your techniques.